House Speaker Pantaleon Alvarez on Sunday backed the reported plan to abolish the National Food Authority (NFA) Council to address the recurring problem on the country’s rice supply, particularly of the cheaper rice sold by the NFA. “Personally, I think we don’t need such as council. We already have an NFA Administrator. Now, if he would only do his job I don’t think we would have any problem (on rice supply),” Alvarez said in a radio interview. On the other hand, Alvarez said he is also open to the option of reconstituting the NFA council. For this purpose, Alvarez said a congressional investigation may be in order to determine the necessary amendments to the law that created the body. “We might have to look into this matter because if the council was created by law we need to amend it,” Alvarez said. On Friday, reports said President Duterte wanted the 18-member body abolished amid disagreements over the rice importation policy between the council and the NFA. However, Malacañang later clarified that the President merely wants to reconstitute the council. Earlier, President Duterte ordered the NFA to proceed with rice importation following complaints of lack of supply of cheaper NFA rice in the local market. Alvarez said it is ironic that while many agriculturists from our neighboring countries such as Cambodia and Thailand studied at the International Rice Research Institute in Los Baños, we are now importing our rice supply from these countries. 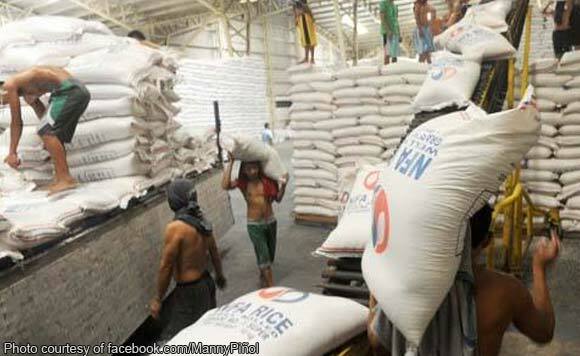 “I don’t understand why we still need to import rice,” Alvarez said. He noted that there are still vast tracts of agricultural lands in Luzon, Visayas and Mindanao that can be utilized to produce rice if provided with irrigation and other necessary support from the government.